Good news! 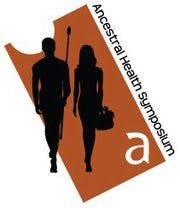 The big conference on paleo diets in LA in August may be sold out already. But you will still be able to see all the lectures. The plan is to record all the lectures and put them on the internet after the conference, to spread the knowledge. For free! The speakers include all the stars of the paleo movement. Plus me. You HAVE GOT to keep us informed on this. I want to share this with my patients as well as benefit myself with the information. Be sure to spread it far and wide and often. Of course. There will be full reports on it here, as well as links to the videos when they appear. On Facebook too please. Many thanks for what you do. Awesome! I had a ticket but sold it because my first grandchild will be born around that time. I hope to get to the next conference. That's great, because I will not be able to attend, even though I live in L.A. I will be out of town that week, or would, so will look forward to hearing the lectures afterward. Sure it's going to end up on Facebook as well.